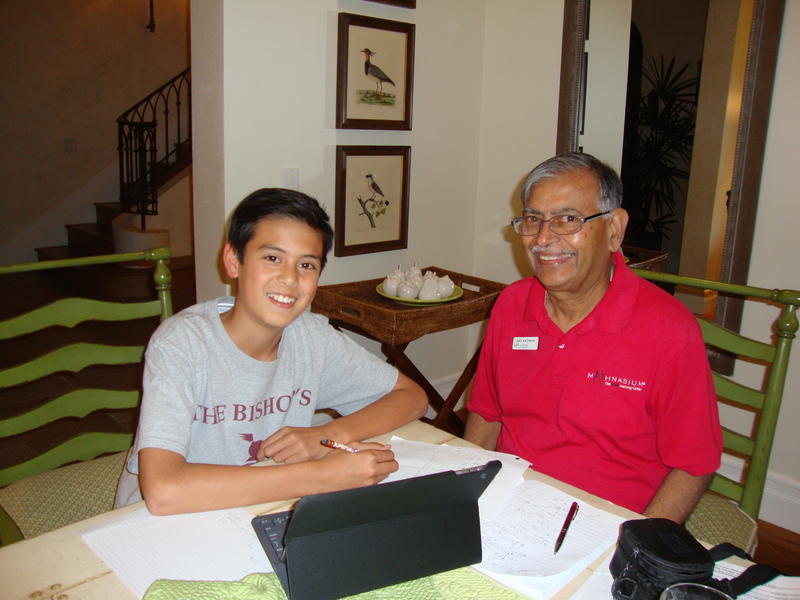 Today we’d like to introduce you to Shailesh Kadakia. Shailesh, let’s start with your story. We’d love to hear how you got started and how the journey has been so far. Roots of Matrix Writers & Publishers began in September 2001, when the idea was sprung in Founder Mr. Kadakia’s mind that present theories developed by pioneer physicists lack explanation about origin of light and cause of forces of gravity to its entirety. A serious effort began after business entity Matrix Writers & Publishers was formed in Upstate New York Rochester, Year 2009. There, in April of 2010, Mr. Kadakia self-published his first book True Physics of Light, Beyond Relativity, First Edition. Considering that this was first book published on a controversial topic as this, with limited resources, we sold 100 copies of the book. After looking at the success of first edition, in May 0f 2011, Shailesh Kadakia wrote and published Second Edition of the same title. Again, because of financial limitations he was able to sell only 25 copies of this enlarged edition to several individuals and libraries at accredited Universities. 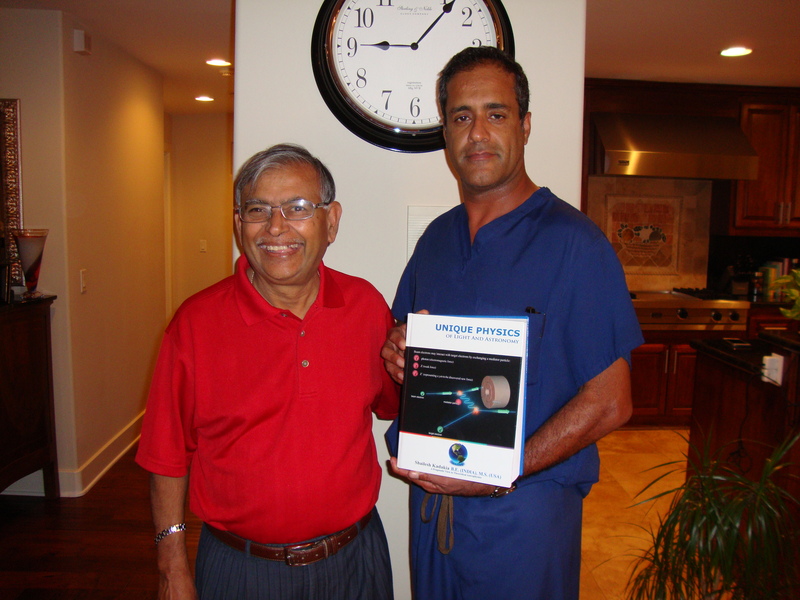 In September of 2011, Mr. Kadakia accepted position of Visiting Professor at University of Pittsburgh, Johnstown, Pa. There he taught Electric Circuits I, MATLAB Programming and Applications, and Digital System Design Classes. In July of 2013, he relocated his company Matrix Writers & Publishers from New York to California in Escondido near San Diego. For past five years, he is acting as Math Instructor at Mathnasium, a teaching Institute managed by different owners, tutoring mathematics to Middle and High School Students. 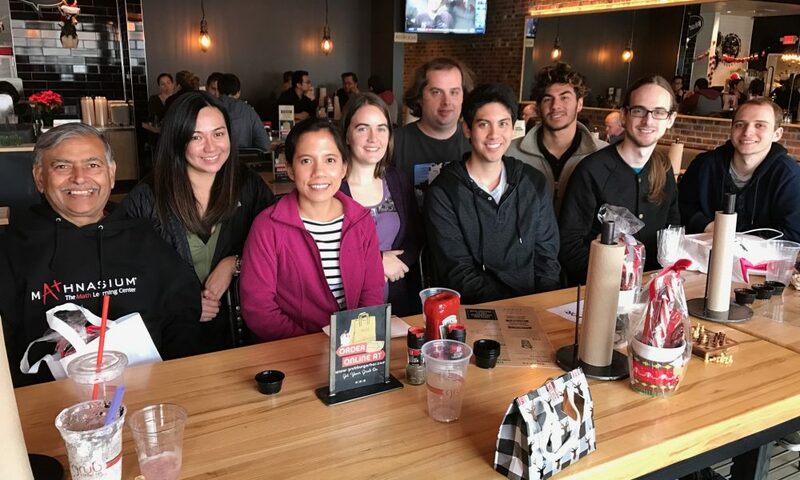 Also, he expanded his role of teaching by providing one on one private tutoring in Math and Physics classes to students who contacted through website of Matrix. 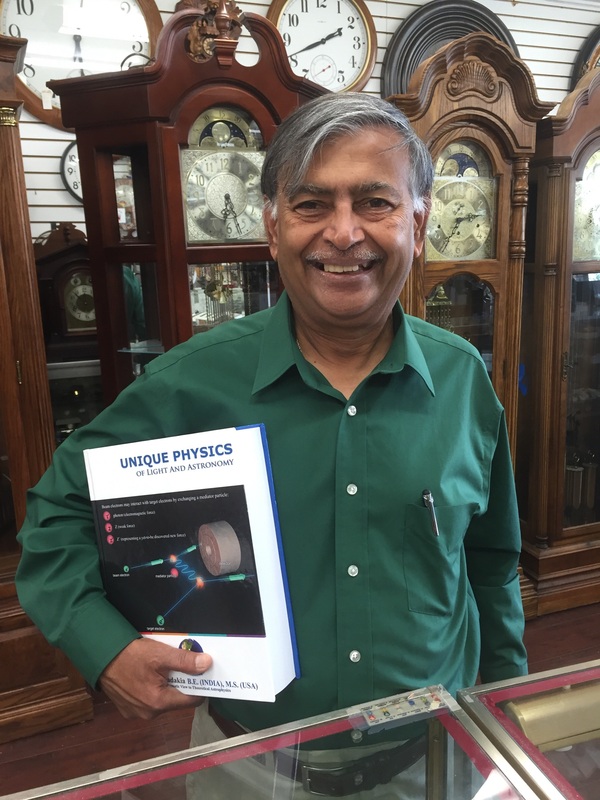 In August of 2016, he published a magnificent text book titled “Unique physics of light and Astronomy” with the help of his wife Carole Kadakia and his friend Michael Hall who proof-read text of the book. We have great satisfaction to announce that our books are reviewed by highly honored Citizens in US and abroad. More information about our books and activities of Matrix can be found at https://www.Skylativity.com. 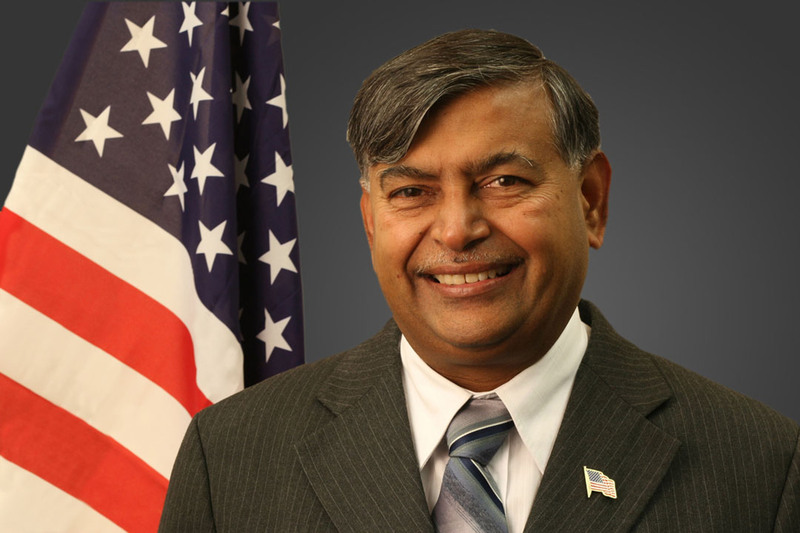 Outside IT Career, Professor Shailesh Kadakia has received numerous awards such as Businessman of the Year 2005 from National Republican Congressional Committee (NRCC) and is listed as life member in Cambridge Who’s Who Directory, Year 2009. Also, he was awarded certificates for presenting seminars “Quantum of Light and Astronomy” in Ho Chi Minh City, Vietnam and “Write & Publish a Book: Process” at University of Riverside, Riverside CA. He is enjoying his stay with his wife Carole Kadakia in Escondido, CA near fabulous City, San Diego. This is story of our great success. The ride to our success is not complete yet and we went through many stumbling blocks. The company form the start is funded from Mr. Kadakia’s personal savings. Also, entire project (the books) was executed with very limited funding and manpower. To give you an idea about sheer magnitude of the project, we will describe your specifics of the text book Unique physics of light and astronomy. It is composed of 960 pages of text, more than 200 Figures, 40 Tables and 600 Problems and exercises which includes answers. All of this was created by Mr. Kadakia alone with a lot of help from Google search engine and Microsoft Word program. It took us 5 calendar years and more than 25000 man hours to complete the project. Not only Mr. Kadakia had to take charge of producing the book after the manuscript was finished, he took responsibility to market the book. That was the greatest challenge we faced. Alright – so let’s talk business. Tell us about Matrix Writers and Publishers – what should we know? A primary business of Matrix Writers and Publishers is to write and publish reference and text books that advance knowledge of students attending high school and College in Mathematics and Science. For past 20 years, we at Matrix did extensive research about Science of Light, Radiation and Gravity. For the benefit of scientific community, we published three books. Unique Physics of Light and Astronomy. We specialize in correcting theories and practices developed by pioneer physicist in the area of Special and General theories of Relativity, Electromagnetic Field theories. We discovered that there were several Gaps in theory developed in 20th Century about nature and propagation of light waves and forces of gravity. Therefore, at the onset of 21st Century, we created Skylativity (New) theory an improved version of Einstein’s theories of relativity. Our copyrighted theory includes new concepts of Quantum Theory of Radiation and Quantum Gravity. Persistence in promoting our ideas through articulately selected audience of experts. Patience in dealing with obstacles.